Last weekend, I found myself at 6 different restaurants (I’m trying to rein myself in). Two of those trips were brunch outings, both on the trendy Queen St West in the heart of Toronto. One I’d been to before, the other was a new dining experience. The first restaurant was County General. Located right at Queen Street West and Shaw Street. It has an unassuming/blink-and-you-miss-it kind of look from the outside, but the inside has a very charming décor. Lots of wood, lots of knotty pine, with gingham napkins but maintains a modern look. I enjoyed their eggs benedict. It was topped with red onions that were seasoned to perfection. 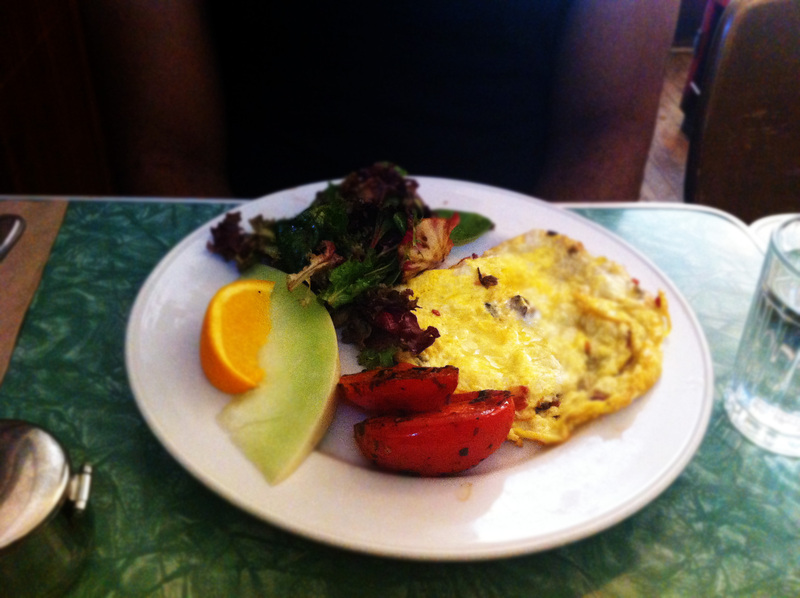 My friend got their French omelette, which she thouroughly enjoyed. 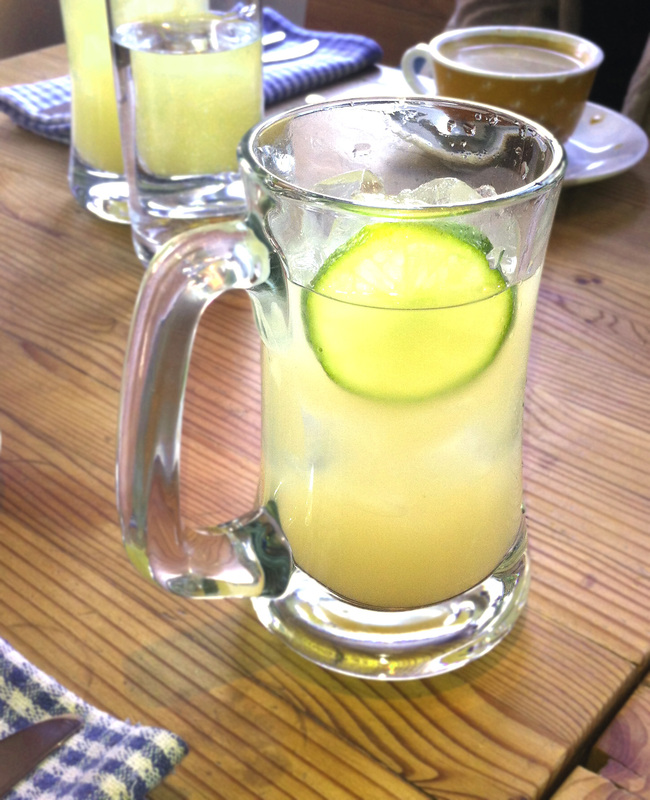 The special juices made at County General are quite inventive. They make a lemonade seasoned with cinamom. The next day, I went down the road to Swan. Just a stone’s throw away at Queen and Crawford. It has an old-school diner kind of vibe. 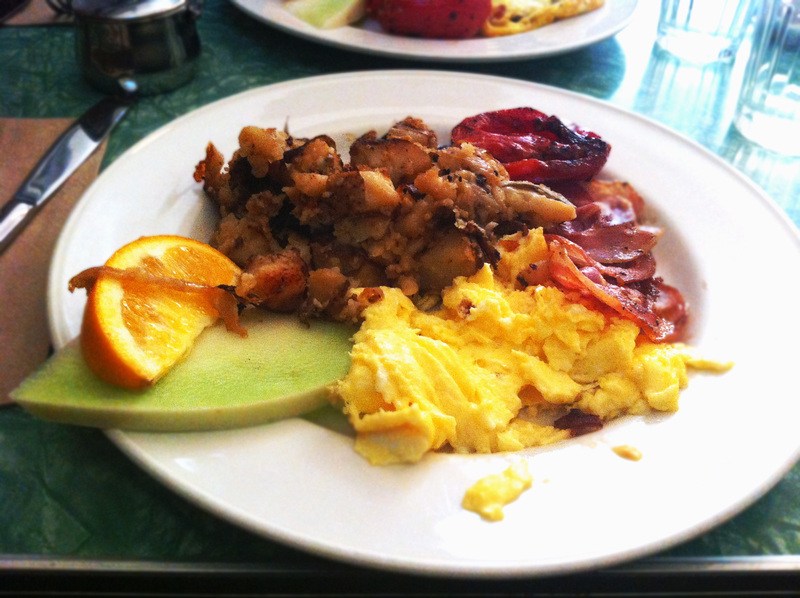 I had the Swan breakfast was satisfying. 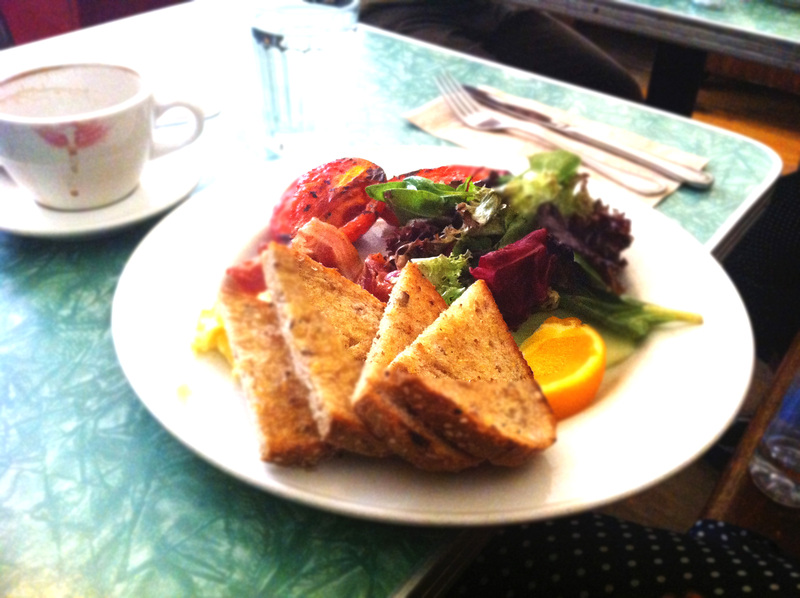 It had eggs, homefries, the most delicisous grilled tomatoes and pancetta. My cousin got similar, but with the daily omelette instead. My other cousin got the Swan breakfast as well. 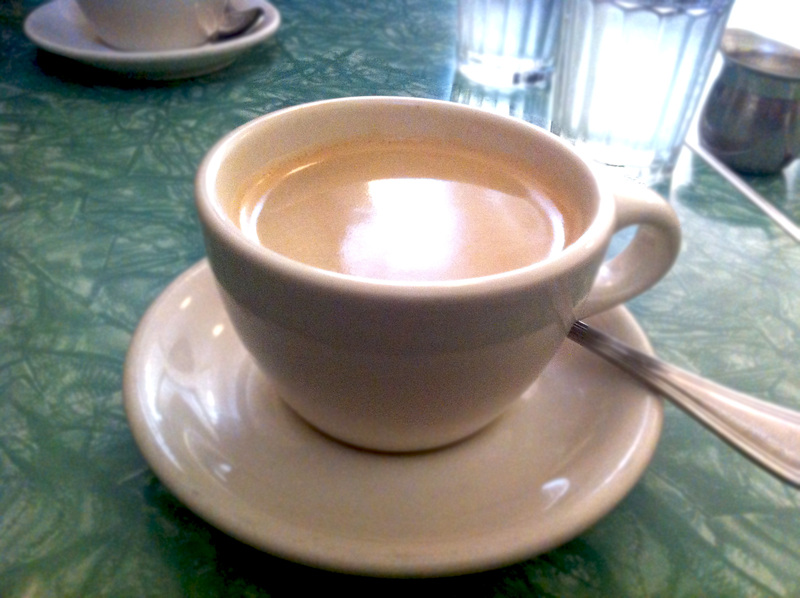 And the meal would not be complete without an Americano nearby. Both of the restaurants are great brunch options, but if I were to choose one, I’d go with County General. 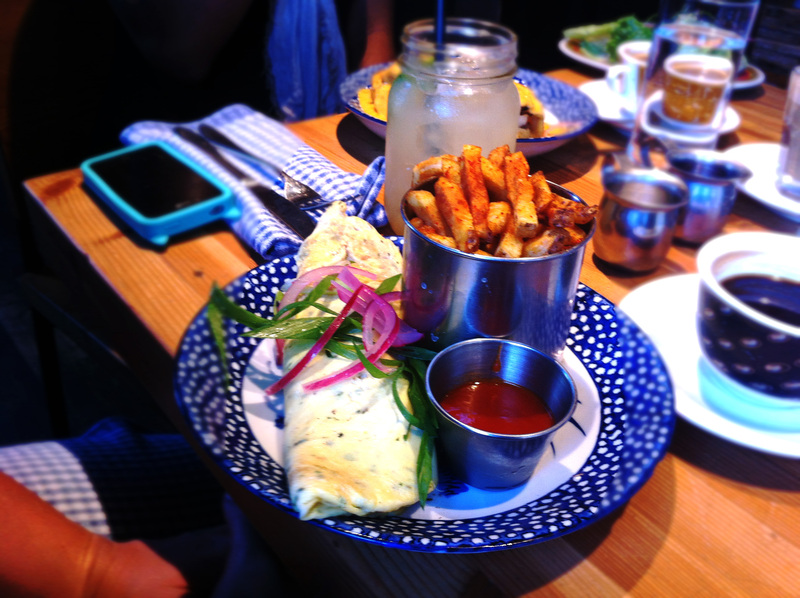 The overall experience – mainly the ambiance, the decor, the lighting – gelled better with my brunching needs, but I enjoyed both experiences. 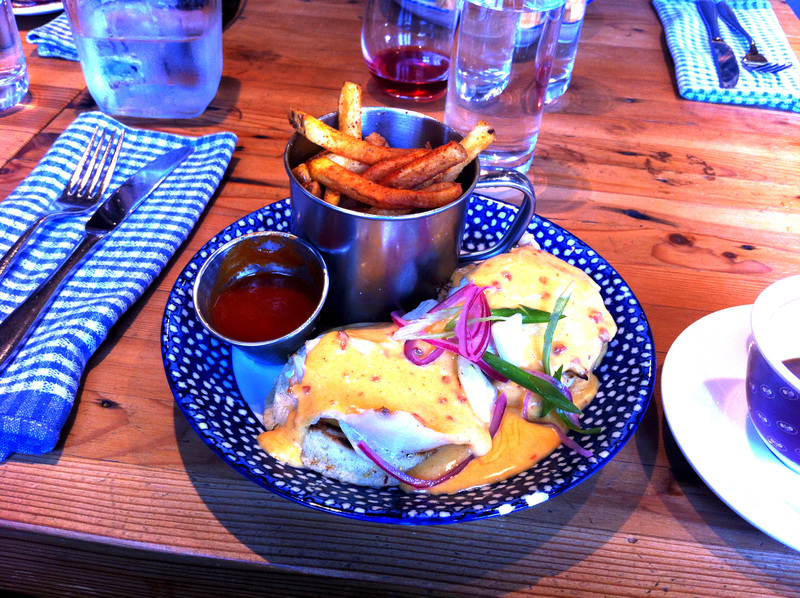 Take a visit down to Queen West and check out both restaurants, if you can!